To elaborate on the last part. 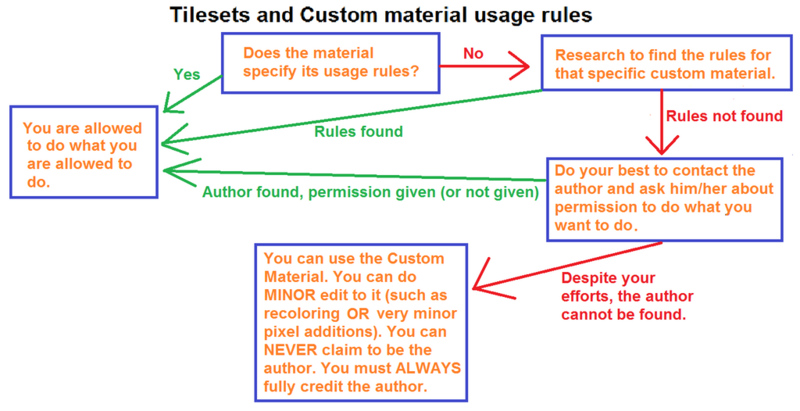 The reason only minor changes are allowed, is so the intent of the original author remains the same. Recoloring the tileset, but not changing anything else is allowed, but if you also make a change in addition to that, it becomes a major change. If you just edit some pixels, so a small part of the tileset looks better in your level, but 90% of the tileset remains the same, then its still okay too. The other approach is to make changes so major that it becomes entirely your own artwork, which is a technique egomassive has employed after reaching that final step.